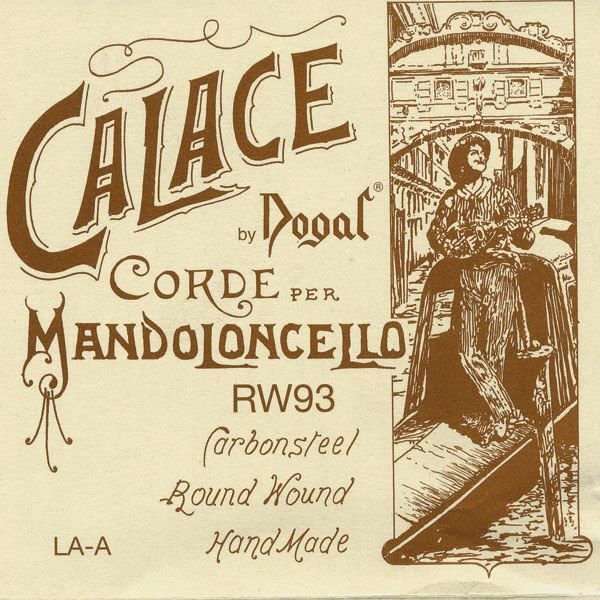 Nowadays the CALACE CARBONSTEEL line is one of the most advanced products for tone, colour and power in harmonic strings.Besides being recommended to mandolin soloists, we advise all the plectrum-ensembles to use all the sets which have been made with the same material.The right choice of string tension is also important for the instrument's structure itself, by obtaining best sound quality results without unnecessarily stressing the top plate. DO Mand.cello anima intrecciata (confez. da 2 corde). SOL Mand.cello anima intrecciata (confez. da 2 corde). DO-C mandoloncello anima intrecciata (confez. da 2 corde). DO mandoloncello anima intrecciata (confez. da 2 corde). SOL mandoloncello anima intrecciata (confez. da 2 corde).